2013, 1st edition. 360 pp, 100s color photos, maps, topos. 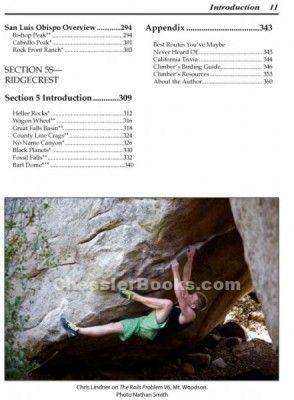 Southern California Rock Climbing is an ideal guidebook for any climber traveling in Southern California looking for good climbing. 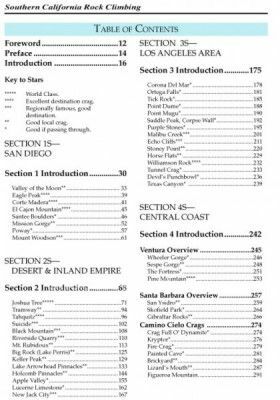 This guide uses topos, maps, photos and detailed descriptions to get you to over 60 climbing areas from the middle of the golden state all the way down to the Mexican border. So pack up the gear and hit the road to adventure.